The newly-released tell-all book on the inner-workings of President Donald Trump's administration hit some store shelves at midnight on Friday. One popular bookstore in Washington DC reportedly sold out in 20 minutes. 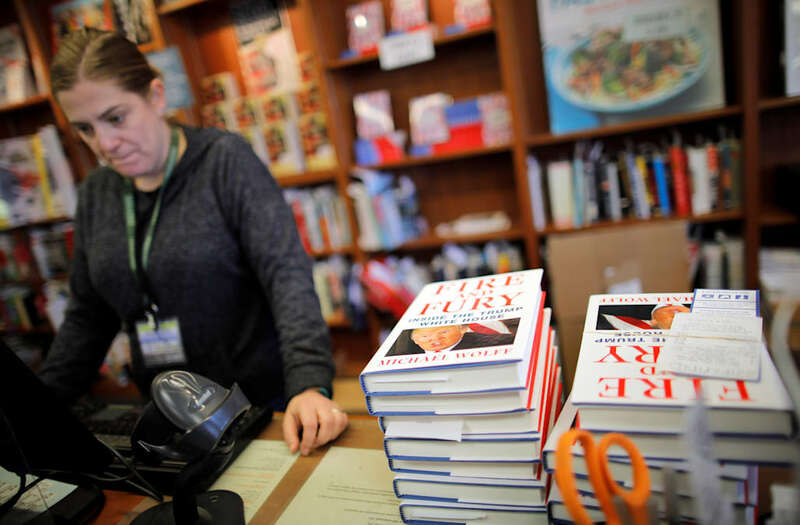 The newly-released tell-all book on the inner-workings of President Donald Trump's administration was released at midnight on Friday — attracting crowds at one bookstore in Washington DC that had reportedly sold all of its copies in under 20 minutes. Written by columnist Michael Wolff, "Fire and Fury: Inside the Trump White House," was released four days ahead of schedule, and one day after Trump's attorney sent a threatening cease-and-desist letter to Henry Holt and Company, the book's publisher. "We will be selling it at MIDNIGHT TONIGHT," Kramerbooks tweeted Thursday night. Pictures on social media showed a sizeable crowd at the store. A Washington-based BuzzFeed reporter cited a store clerk who said the book had sold out in minutes. "We see 'Fire and Fury' as an extraordinary contribution to our national discourse, and are proceeding with the publication of the book," the publisher said in a statement on Thursday. The book has received critical attention after a series of excerpts were released this week, which included various disparaging quotes from former White House chief strategist Steve Bannon, and other eyebrow-raising details of the Trump administration. White House officials threw cold water on the book's claims and attempted to discredit the author. "Participating in a book that can only be described as trashy tabloid fiction exposes their sad desperate attempts at relevancy," White House press secretary Sarah Huckabee Sanders said in a press conference Wednesday.